Grease and line a rectangular 16x26cm slice tin with baking paper. Preheat oven to 180 degrees (fan-forced 170 deg). 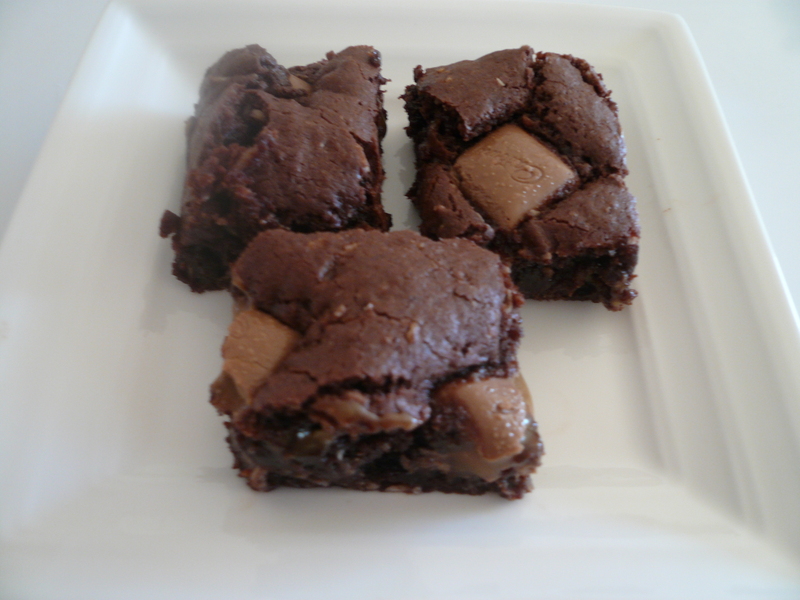 In a large mixing bowl combine all the ingredients (except chocolate), press into slice tin. 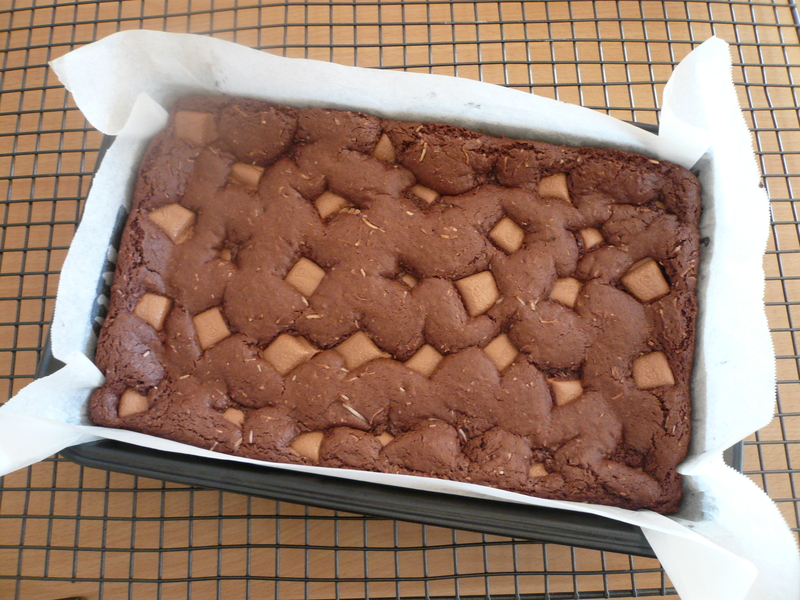 Break chocolate into individual squares and press them randomly and firmly into the mixture in the tin. Bake for 20-25 mins, but start checking early. The slice should be rise back after a light touch but still be a little wobbly and soft when it comes out of the oven. It will continue to cook as it cools. Fiona and Leigh Higgins made these, it was so good.